Urs Geiser and his co-authors launched their book on the politics of forest in Pakistan during a workshop in Islamabad. See a video of the event and a local newspaper report. Wer spielt wann wo? Masterstudierende in Geovisualisierung erstellen praktische Worldcupmap. 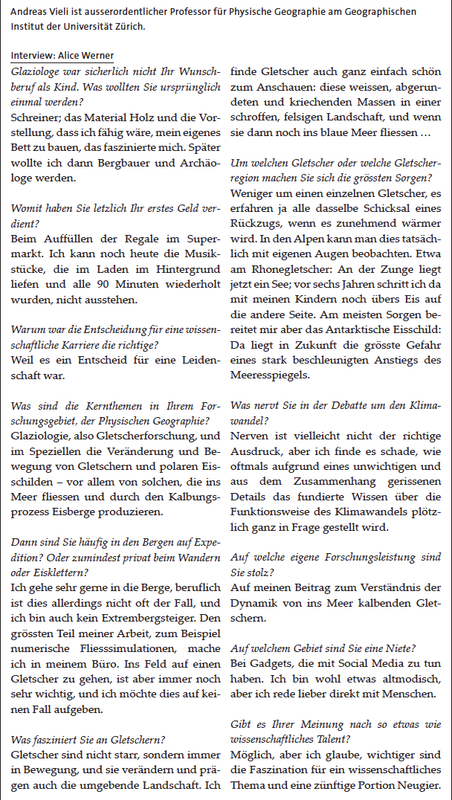 More tropical nights and longer growing season, loss of glacial ice and changes in river runoff regimes: Report on climate change impacts in Switzerland out now with contributions from Nans Addor und Jan Seibert.